with a modern concrete bridge. Park on the north west side of the new structure for access to the river bank. 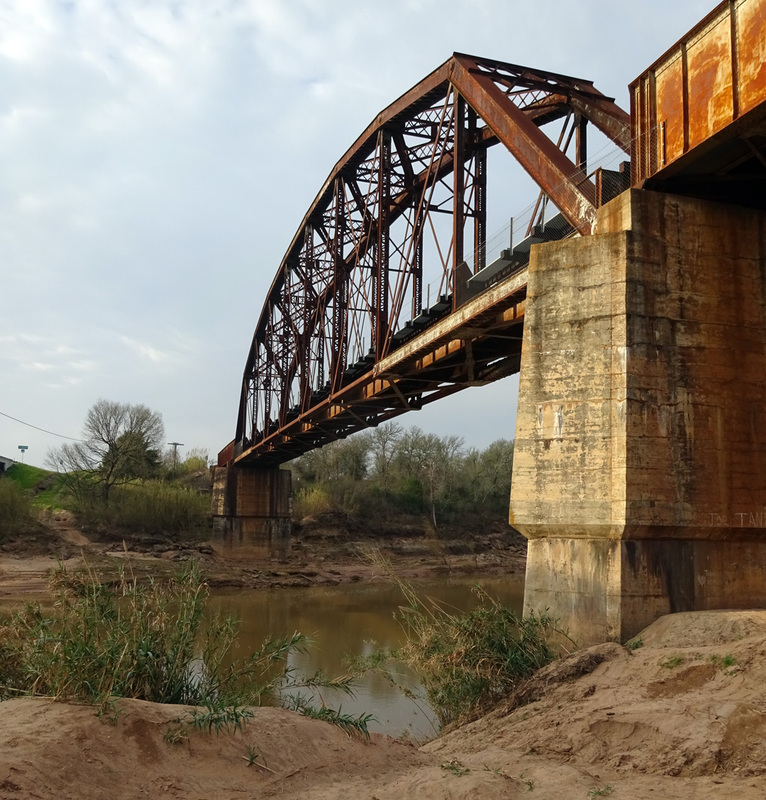 The bridge across the Brazos River is at a county line where one county was dry and the other not. Hence people would drive to the bridge to buy whiskey, giving the locality its name. 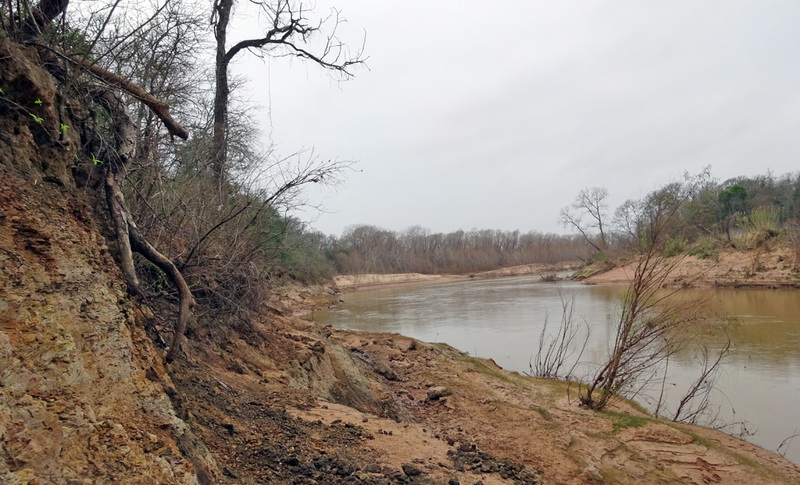 The eastern side is entirely alluvial sands and soil. 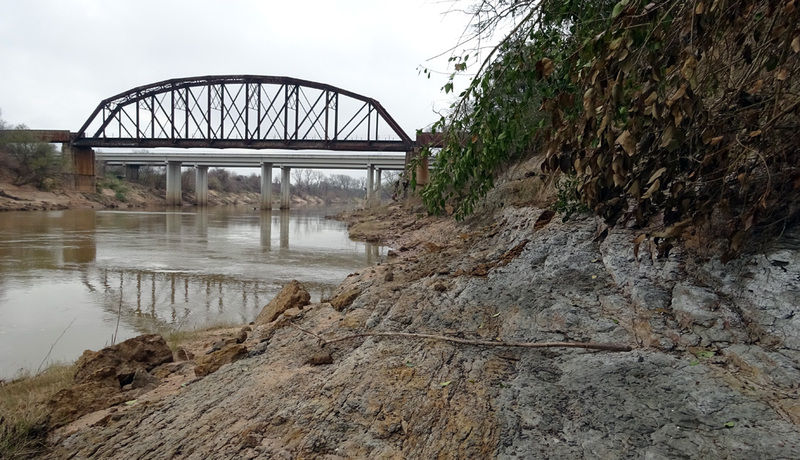 The exposures of the Crockett Formation are all on the western bank, north of the bridge. 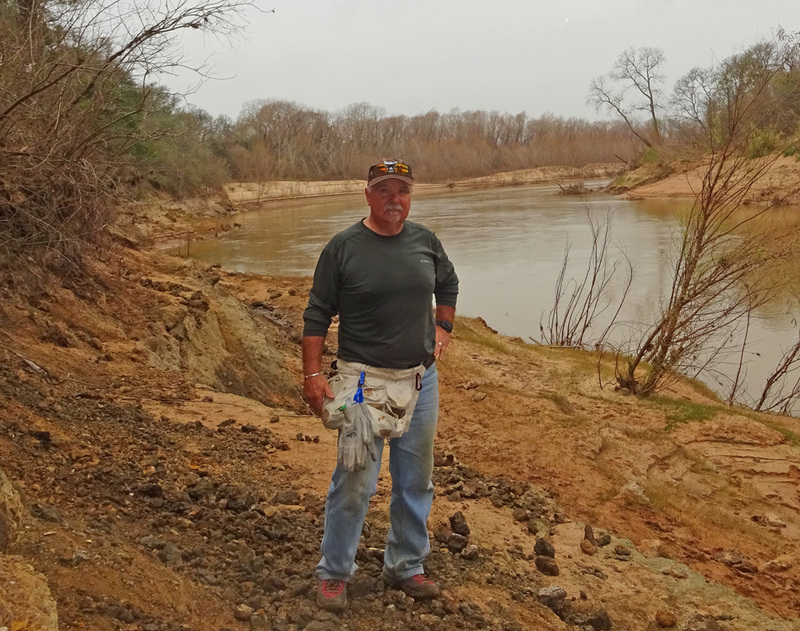 There are exposures of the fossil bearing strata for a few hundred yards to the north along the river bed. The strata are moderately fossiliferous. 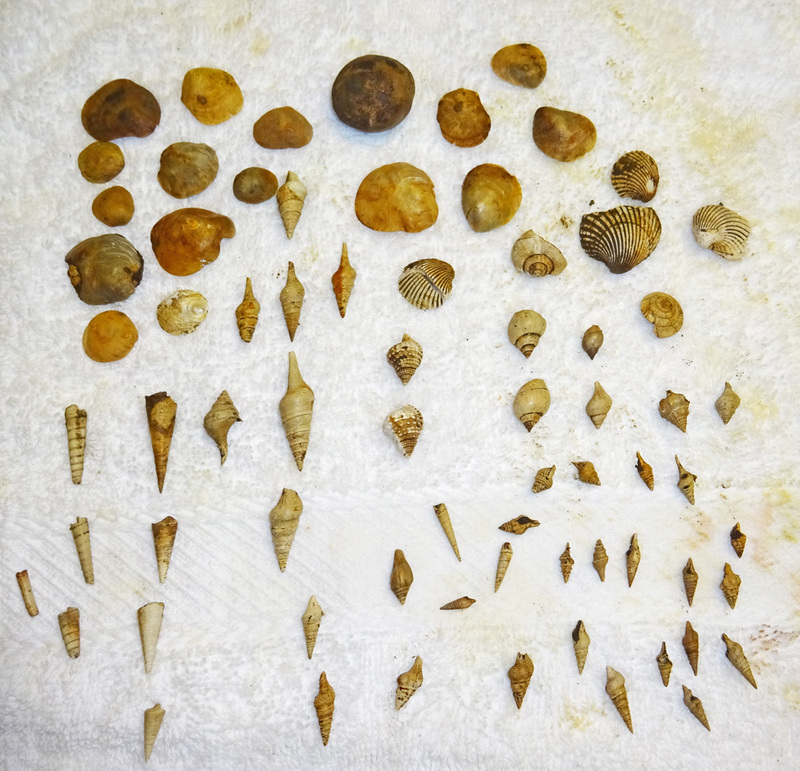 You can find a variety of fossils including shark's teeth, gastropods and bivalves. to access the lower levels where the teeth are known to accumulate. The matrix has the texture of mud or soil. 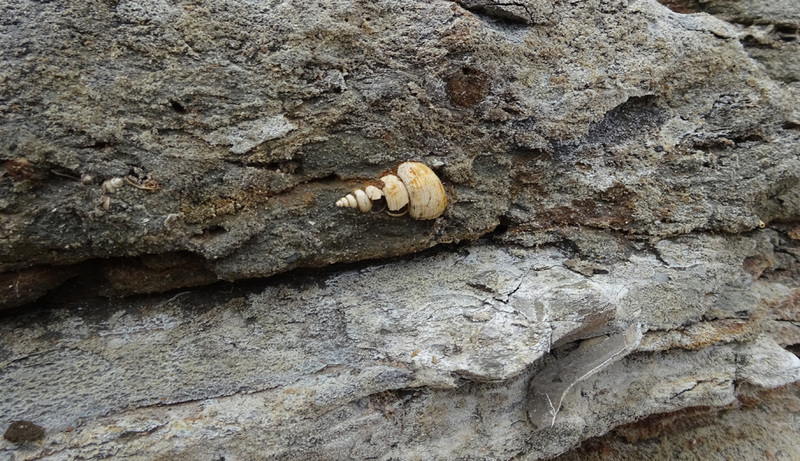 I found examples of at least six different species of gastropods. All of these are rather small, less than 3 cm. 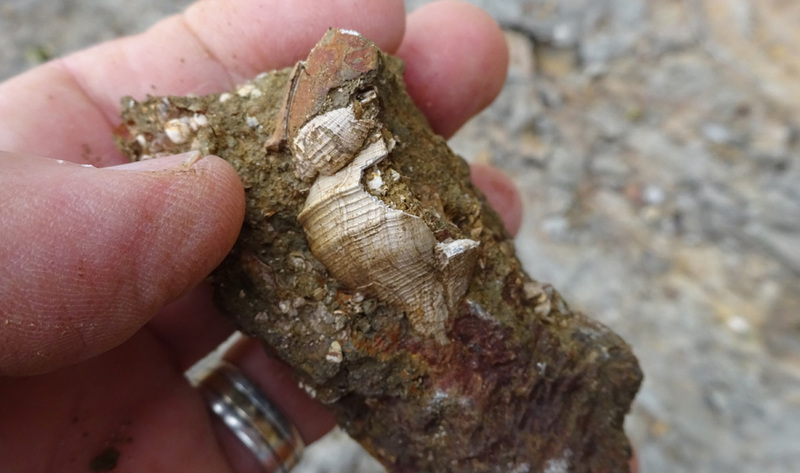 In addition to the gastropods, there are a number of other bivalves, some are larger and some are very small.